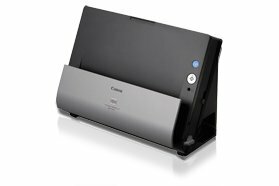 The Canon imageFORMULA DR-C125 Document Scanner's innovative space-saving design makes it a standout in any office environment for improving information accessibility, management, and collaboration. 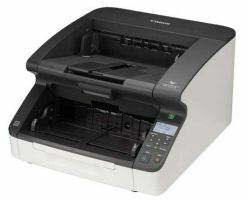 Its flexibility and high image quality are only surpassed by its easy use, making it ideal for converting and capturing paper-based documents to digital format. This model is discontinued. No units are left in stock. Today, operating costs are on the rise, making ROI harder to achieve. Fortunately for workgroups and departments in any industry, the DR-C125 scanner provides the basis for efficient records management and paperwork reduction. It delivers capture capabilities that make it an ideal addition, especially in the legal, financial, healthcare, and government sectors. The strength of the DR-C125 scanner is seen in its throughput, capacity, and overall performance. Scanning up to 60 pages per minute—both sides in a single pass—and holding up to 60 sheets in the ADF, it quickly captures and stores business information. The DR-C125 scanner was designed with the user in mind from top to bottom. At less than a foot long and wide, it is a productivity booster in space-constrained areas. With an intuitive control panel to pre-program scan tasks, the DR-C125 scanner adopts and simplifies higher-end scanning features into a compact, easy-to-implement package. New rollers designed for one-pass scanning and a document stopper for doublefeed prevention ensure more unattended and seamless scanning. 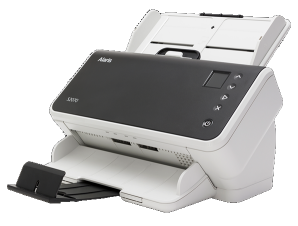 Since batches often contain a variety of document types, the DR-C125 scanner can handle an assortment of hard copies, from long documents to embossed plastic cards as well as thin paper using the new Thin Paper Mode. Accurate electronic capture helps eliminate the need for manual data entry, which saves time and mitigates risks associated with most business processes. As such, Canon recognizes the importance of precision and clarity. With improved gradation levels and capabilities such as Background Smoothing and Shadow Cropping, the DR-C125 scanner best reflects Canon’s imaging expertise. The new slanted paper path design of the DR-C125 and DR-2010C scanners guarantees smooth scanning of a wide variety of documents, from thick documents and multi-sheet forms, to driver licenses and even embossed plastic cards. And Canon’s innovative feeding mechanism with its retard rollers will ensure reliable page separation for fast, unattended batch scanning. 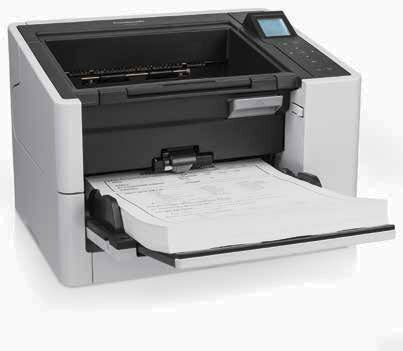 The DR-C125 scanner is part of Canon’s Generation Green Program. It also meets ENERGY STAR® guidelines for energy efficiency and complies with the EU RoHS and WEEE directives for reduction of hazardous substances and waste products.